Bucketlist is a cloud-based platform that allows businesses to introduce a recognition and rewards program to its workforce. The peer-to-peer system encourages colleagues of every seniority level - whether employees or managers - to engage in mutual acknowledgment of noteworthy performance. Using gamification techniques such as a points-based "leaderboard" and the giving of award badges, peers can encourage each other to meet goals and receive the kind of recognition that helps retain the most talented individuals. Points awarded for high performance can then be redeemed through the platform to achieve life goals or dream experiences in a way that motivates greater levels of program engagement. Most suited to deployment within smaller and medium-sized companies of 50 to 5,000 employees, the online dashboard-based interface includes access to a library of award choices across several core categories while allowing new custom ones to be created. Reporting facilities also deliver more detail on the ranking data for performance levels, providing actionable insights into engagement, support, satisfaction ratings and more. Integration with popular associated workplace platforms such as Slack and G Suite also promises to assist with adding Bucketlist into existing workflow practices. We were one of the early adopters of this tool a few years back and have seen it evolve over time. great rewards and recognition software. We have great engagement with it and buy in at multiple levels of the organization.Its amazing for getting to know the people within our organization and providing us with opportunities to reward them with what matter to them. We've been able to support our team members with stuff thats meaningful to them. Everything from travel, singing lessons, whale watching, volunteering and many things in-between. I find it much more fulfilling that giving someone a coffee card or something like that (although we still do those). The tool has evolved over time and some of the things that make our lives really easy include: Data - our people seem to really take care in populating their bucket list items and goals. Leaderboards Activity feed Events - we've done a few events based on common interests and they were great Slack integration Recognition and the points system are pretty cool. We've recently used it for an operational excellence award that that experience worked out well so i think we'll keep using it for that as well. Support is awesome as well and they keep putting out new features with good quality. Its amazing for getting to know the people within our organization and providing us with opportunities to reward them with what matter to them. We've been able to support our team members with stuff thats meaningful to them. Everything from travel, singing lessons, whale watching, volunteering and many things in-between. I find it much more fulfilling that giving someone a coffee card or something like that (although we still do those). The tool has evolved over time and some of the things that make our lives really easy include: Data - our people seem to really take care in populating their bucket list items and goals. Leaderboards Activity feed Events - we've done a few events based on common interests and they were great Slack integration Recognition and the points system are pretty cool. We've recently used it for an operational excellence award that that experience worked out well so i think we'll keep using it for that as well. Support is awesome as well and they keep putting out new features with good quality. We have been using this tool for a few years now so we have seen it grow since its infancy. The things that I would like to see improve in the near term is some slightly improved reporting/manager dashboard but i think they said its in the works and they deliver on their road map, and recently they updated the UI which is a big improvement over the previous version we were using. A fun and unique way to engage and build culture with our team through rewards and recognition. The personal benefits have been great, as I've been able to achieve several personal goals and connect with my coworkers to work towards shared goals together. My manager has also used my Bucketlist profile to individualize rewards and gifts. Being able to see shared goals also helped organize company events around activities that many people have wanted to do, but have never done before; this crafts unique events centered on experiencing or accomplishing new things.The amount of diverse things that we've been able to do with such a simple platform has been incredible. We've implemented weekly employee recognition highlights, culture competitions, team events based on common goals, and personalized rewards. The customer support has been incredibly responsive - especially in developing and releasing new features based on how we want to craft the program to our company. The amount of diverse things that we've been able to do with such a simple platform has been incredible. We've implemented weekly employee recognition highlights, culture competitions, team events based on common goals, and personalized rewards. The customer support has been incredibly responsive - especially in developing and releasing new features based on how we want to craft the program to our company. Engagement in the software does need to be fairly self/team motivated at this stage. However, I think they're working on developing additional automated messages/emails that will help with this in the future. I love the peer to peer recognition - it's super easy and the team quickly figured it out. The employee feel appreciate and recognition is alive and well in the company. It's a great way to bring values "alive" inside of our company and it also makes administering our rewards and recognition pretty easy. We're using the peer to peer, employee referral program and awards module.It was nice to roll out a platform that was easy to use. The Slack integration was a cool way for employees to start using Bucketlist and they didn't have to learn any new technologies. We've got good engagement and the team seems to enjoy both the recognition and rewards. I was pretty happy with the platform - no feedback at this time. I'm looking forward to seeing how the product grows. The catalogue of life experiences is pretty neat and being updated all the time. It was nice to roll out a platform that was easy to use. The Slack integration was a cool way for employees to start using Bucketlist and they didn't have to learn any new technologies. We've got good engagement and the team seems to enjoy both the recognition and rewards. I was pretty happy with the platform - no feedback at this time. I'm looking forward to seeing how the product grows. The catalogue of life experiences is pretty neat and being updated all the time. Bucketlist's software has helped our team recognize each other on jobs well done, bond with one another through super fun activities booked through the built-in marketplace, and gave us something to look forward to at the end of a successful quarter. In short, Bucketlist helped us feel like a real team and kept our spirits up whenever we experienced burnout.I love how the reward system ties into the core values of our organization. That helps build a sense of community and rallies our team members around the same goals, whilst encouraging peer-to-peer recognition and and driving employee engagement. I love how the reward system ties into the core values of our organization. That helps build a sense of community and rallies our team members around the same goals, whilst encouraging peer-to-peer recognition and and driving employee engagement. Bucketlist has done a ton of good for our team, I just wish there were some more options on the in-app marketplace to choose from. Goal and Challenge Creation, Peer Recognition and Employee AwardsSeamless integration with Slack. Its so simple and easy. Our team uses Slack extensively for day to day activities. Employees can see updates of goals of their peers within Slack and recognize their peers with very intuitive user interface rendered within Slack. They never have to leave Slack to see updates or recognize their peers. Seamless integration with Slack. Its so simple and easy. Our team uses Slack extensively for day to day activities. Employees can see updates of goals of their peers within Slack and recognize their peers with very intuitive user interface rendered within Slack. They never have to leave Slack to see updates or recognize their peers. I would like to see a way to offer rewards to employees in form of experiences in addition to cash only rewards. Demo and pricing quote available on request via website. Bucketlist is an employee recognition and rewards platform that uses motivational, goal-based engagement tools to encourage greater professional performance while retaining talented staff. 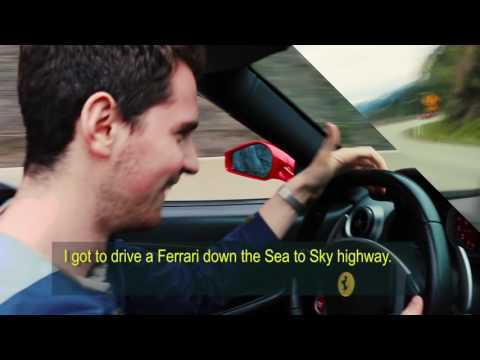 The platform adds a unique redemption program whereby employees are tangibly rewarded with events or dream experiences such as learning a new language, volunteering, driving a Ferrari, or going sky diving. The peer-to-peer platform allows fellow employees and managers to recognize each other, issuing custom awards or library choices to honor core values, innovation, safety, years of service and more. Gamification features such as the "leaderboard" add a healthy competitive edge, while built-in reporting options deliver breakdowns and insights on how a workforce is engaging or performing within the program. Social media connectivity allows staff to share their achievements and promote the corporate brand on channels such as Facebook, while integration with services such as Slack and G Suite support workflow. Below are some frequently asked questions for Bucketlist. Q. What type of pricing plans does Bucketlist offer? Q. Who are the typical users of Bucketlist? Q. What languages does Bucketlist support? Q. Does Bucketlist support mobile devices? Q. Does Bucketlist offer an API? No, Bucketlist does not have an API available. Q. What other apps does Bucketlist integrate with? Q. What level of support does Bucketlist offer?